Inspired by last weeks unveiling of Mercedes-Benz’ new X-Class ute, we thought we’d put together a list of our top five favourite and best selling utilities of 2017 so far. 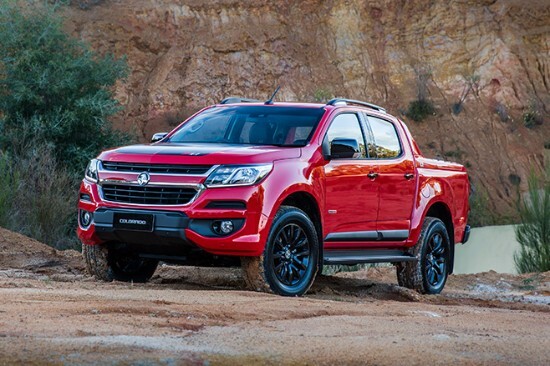 Although not set to hit our shores until early next year, they’re expected to be competitively priced in the $45k-$55k range, the mid-spec in the mid-$50k to mid-$60k and the Power version could reach new levels for dual-cabs in the Aussie market. 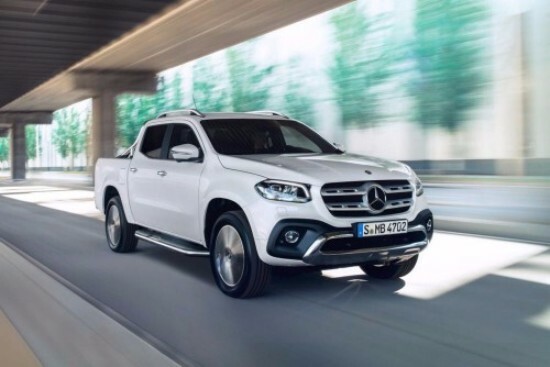 For more on the X-Class head to http://www.themotorreport.com.au/65397/2018-mercedes-benz-x-class-ute-revealed or for order enquiries and finance enquiries give us a call on 1800 232 615. 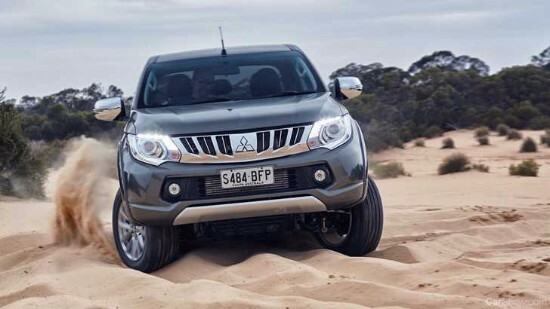 Starting from number five, this year we have funded, test driven and delivered lots of Mitsubishi Triton for our clients. Firstly the styling additions add to the exterior appeal of the sometimes polarising Triton (although not the strongest points). – Upgraded class leading diesel engine and gearbox combo are excellent. – Infotainment system now at the head of the segment. To one of Australia’s all time favourites the Toyota Hilux which topped the May and June sales charts. 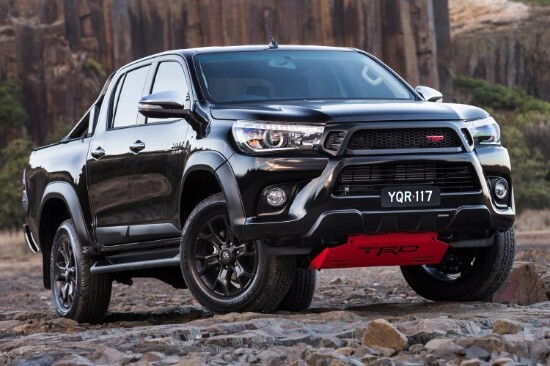 Although no petrol or supercharged options anymore, the TRD aesthetic inclusions certainly add some flair to the Hilux flagship. Although previously struggling in the sales department, the new facelift and equipment updates have made it a much more attractive option to the Australian buyer. The Colorado now includes seven airbags, rear view camera, Apple CarPlay (first in class), digital radio, cruise control, digital speed display, remote entry, automatic headlights, LED daytime running lights, auto “up” power windows on all four doors, and rear air vents on crew cab models. Additional improvements include sound deadening between the engine and the driver. The front side windows are now 4mm thick rather than 3mm, to dull road noise. New rubber mounts for the engine, transmission and body are designed to improve refinement. If ride quality is important to you, the Amarok is a step above the rest, both unladen and laden it is excellent. – Cabin design and finish are the best in the segment by some margin. – The V6 the most powerful in the class (165kW (180kW with ‘Over-boost’) and a thumping 550Nm of torque from a low 1500rpm. 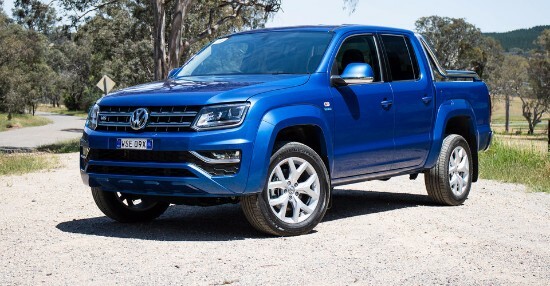 – The grille and front fascia have been refreshed, giving the already handsome Amarok a bolder new face. Ok so if it’s strictly the price that you’re concerned about this one may not be for you. Having said that the Amarok-ish price point is well justified with the number of inclusions and features of this particular Ute. 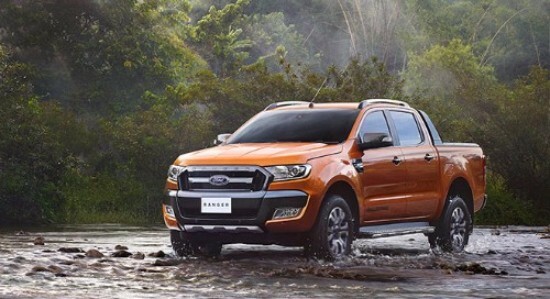 By far the best and most consistently comfortable ride, handling, suspension and balance, delivering a smooth and forgiving ride on a range of surfaces, even heavily weighted down the Ranger remain secure and stable. – Front and rear parking senses with reversing camera (adaptive grids). – Apple Play and adequate USB and 12V sockets front and rear reversing camera. It will be interesting to see how the Mercedes X-Class goes up against both the Amarok and Ranger early next year. If you’re looking to upgrade, want to arrange finance or utilise Leasecorp’s ‘car buying service’ to ensuring you get the best price and value on your purchase – get in touch with us below. Our most recent article was focussed on ‘tips when purchasing a used car.’ So we thought we’d also detail some useful advice to assist you when purchasing a new car. Over the last 30 years, the internet has changed the way we as consumers search and compare products and services. 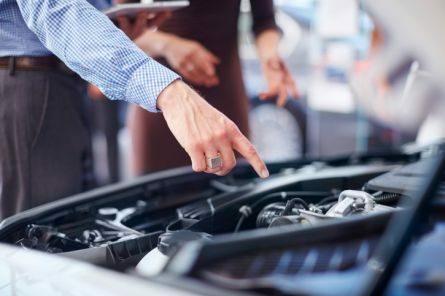 In regard to the motor trade, this now means that most people spend days if not weeks researching their desired vehicle by the time they enter a dealership, equipt with a clear idea of pricing and model variances. This is a great thing, as information in power. Knowing exactly what vehicle you want means that you are less likely to be guided into another car by a salesman looking to clear slow-moving stock. While research is important it pays to ensure you are doing the right research. This should include finding out how long the particular vehicle you are looking for has been in production and whether it is about to be superseded by a new one. There is nothing wrong with purchasing a cheaper car as long as you are aware that the introduction of a new model may impact the resale of yours. Ok so let’s cut to the chase, what to look out for. When some car dealers in Australia advertise incredibly generous finance deals, the purchaser may find themselves buying the vehicle at full retail price. 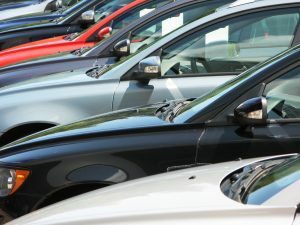 There most likely won’t be any discount on a new car which is purchased using the dealer’s finance. 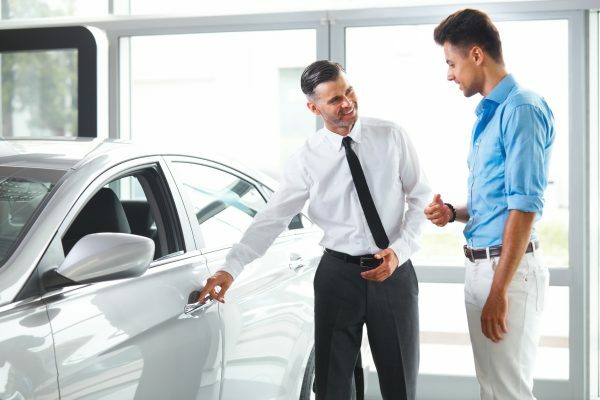 The dealer may offset any loss brought on by his generous finance offer, so it is best to have your financing provided by a reliable third party and aim for a new car discount from the dealer. At Leasecorp we help hundreds of clients a year secure finance for new and used vehicles at highly competitive rates prior to them stepping foot in a car yard, this enables them to know what they have to spend and what they can afford. As a test, walk into a dealer that is offering 0% finance and ask for the total repayment figure. Always get a quote in person and in writing, this will help you negotiate with other dealers on the same make and model of the vehicle. When beginning price discussion with the dealer understand that the manufacturer’s list price is often nothing more than a starting point with most new car dealers willing to negotiate if they can tell you’re serious. Let us do it for you. We love this phase and enjoy getting great results for our clients. Our national fleet listing means we can shop your rate across many dealers to ensure you get the most value for your purchase. Get approved today – Free Call! A trade-in can seem quite convenient and straight forward but do your research on trade in prices before mentioning this to the dealer and keep in mind they will often pay less than market rates because they, in turn, have to make a profit on the vehicle when it’s sold. We typically encourage our customers to consider a private sale as an option. If your car is in relatively good condition and has adequate service records, you could get substantially more money. Once a dealer has registered a new vehicle it is technically considered second hand. While this may be the case it could also only have 130km’s on the odometer and most sales people will be much more willing to negotiate on demo models. Usually located on the firewall of the car, this details exactly when the car was made. 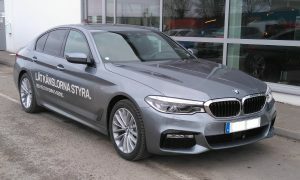 This is important as a car listed as a January 2015 vehicle may have actually been built at the end of 2014, meaning it is technically a 2014 model. Speak to the dealer, ask if you can take the car for a longer drive which will potentially enable you to drive the vehicle on a variety of road surfaces to experience how the car truly handles. This is a big one, far too often we have clients come in and tell us what dealers tried to charge them for these add-ons. We typically advise all our customers to never agree to extras like rustproofing, paint protection or window tinting, these are often significantly over-priced. On this note, be careful signing up for extended warranties as these in many cases require the purchaser to agree to have the vehicle serviced at that dealership for the warranty to take effect. In saying this, having your car serviced by the manufacturer can be expensive but positively affects resale. With these considerations in mind, let us help you get the best new car possible. Get finance for your new car today! So you’ve decided to buy a used car. So what next? At Leasecorp we help lots of our clients find and secure great used vehicles, but it pays to be prepared so as to make the purchase as safe and hassle-free as possible. First things first, know what you can afford to spend. This means not only securing finance or having the money ready for the initial purchase but weighing up running costs like fuel, maintenance, insurance & average depreciation. 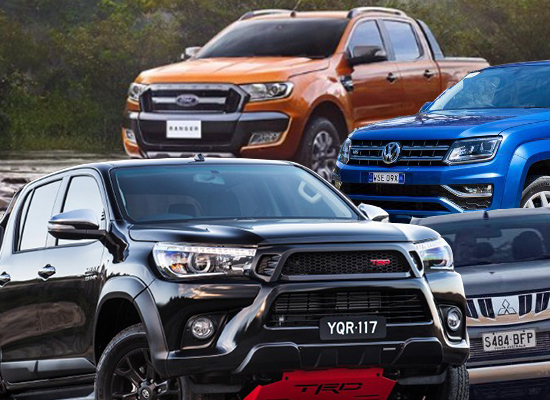 We hold national fleet status with many manufacturers Australia wide and can often find you a similar if not identical vehicle at much lower prices. It pays to know the market value of the vehicle you have in mind before meeting with the seller; this will give you a lot more negotiating power. Sites like carsguide.com.au and redbook.com.au are useful in establishing a price point. When selecting what vehicle you are looking for be specific with your requirements and know details like, badge or class, engine type, manual/auto, series, build date. For example, a 2014 Toyota Prado comes in 6cyl, 4.0i Petrol & 4cyl, 3.0DT Diesel, Manual/Auto, Altitude, GX, GXL, Kakadu and VX as well as GRJ150R & KDJ150R series. These finer details will have an impact on the asking price. Look for information on the housing, maintenance and use of the vehicle. i.e a car used only to drive short distances to and from work vs. a car previously operated as a taxi that has been housed opposite the beach. Know the average kilometres for the build date of the vehicle you are looking for. If you find a vehicle that looks good, give the seller a call and ask the following questions. – What is their reason for selling it? – What condition is the car in, and is there any issues not show in the photos? – Will it pass a roadworthy inspection? Inform the seller you intend to do an encumbrance check (PPSR check – previously known as a REVS check) and other checks on the car. Obtain the Vehicle Identification Number (VIN) and go to revs.com.au to purchase a complete car history report (the VIN can be found on the registration certificate, or on the engine, door posts (where the door latches when it is closed), or the passenger side windscreen). If it passes all the above, arrange a suitable time to inspect/test drive the vehicle. It is important to always organise inspections during daylight, never in the dark or in the rain that could conceal body marks, dents, rust and other defects. – Check underneath the body, bonnet and carpet for rust and signs – such as evidence of welding or paint overspray — which may indicate the car has been repaired after a crash. – Check the gaps between the body panels are equal – if not, this could indicate poor crash repairs. – Under the bonnet, look for signs of any oil leaks. Use the dipstick to check the amount of oil. If the level is low, the owner hasn’t been looking after the car properly. Look around the oil filler cap for a white mayonnaise-like substance – this could be an an indication of a leaking head gasket which can be very expensive to fix. Check all tyres – including the spare – to make sure there’s plenty of tread and that they’re wearing evenly. Inside the car, make sure the seatbelts work correctly and aren’t damaged, the front seats move properly and all switches and features work. Try to start the car when the engine is cold, which can help reveal problems like poor starting or smoke that indicates engine wear. If the seller has warmed the car up, they could be trying to hide something. Make sure the VIN, engine number and registration details on the car match those on the registration papers. – check that the transmission shifts up and down through the gears smoothly and that the clutch on a manual doesn’t slip and actuates smoothly. – If there are no faults, suggest a reasonable figure beneath the asking price. The seller will then either accept, decline or suggest a price closer to the asking figure. Work through this process until both parties agree. Ensure you have all the registration and service history of the car and the details match the seller, make sure they are originals, not photocopies. Get a receipt for any payment you make with sellers full details. On the day you take ownership of the vehicle, purchase a PPSR (formerly REVS) Certificate to protect you against repossessions. 15 things every driver should know about their car before they get their licence. So you’ve just spent 120 hours with your son or daughter teaching them how to operate a vehicle and navigate traffic safely. They are now technically eligible to sit for their provisional test and if successful will be allowed to drive unaccompanied on Australia roads. While this is a great thing for everyone to experience it is astounding to learn many Australian drivers do not know or understand many fundamental elements of the vehicles that they are operating and more importantly what to do in the instance something goes wrong. At Leasecorp we help finance new and used vehicles for many young Australia’s, so we have put together what we feel is the 15 most important things everyone should know about cars once they get a driving licence. Inevitably due to the nature of tyres and the harshness of many Australian roads all of us will at some point experience a flat tyre. What many people don’t seem to realise is how easy they are to change. The NRMA website gives an excellent step by step instruction on how to change a flat tyre safely and with ease. This one is an important one, driving with over- or under-inflated tires is a dangerous and an unnecessary hazard. This is due to the uneven distribution of weight transferred to each wheel while driving. In the instance of heavy breaking, your vehicle is at higher risk or losing control. Most service stations have automatic pressure gauge systems that let you quickly check and adjust your tyres. Every car should have a chart inside the driver-side door that lists the optimum pressure for the front and rear tires. Achieving correct levels is an easy way to maximise fuel economy too. To ensure the longevity and performance of your engine, oil levels should be monitored frequently. Many people leave this to mechanics at a scheduled services, but this is a costly mistake. The Supercheap Auto website gives you a great guild on how to both check and replace your engine oil. As a new driver you will most likely have only been driving one vehicle, but as you become more experienced you will eventually drive other friends and family members cars. It is very important to understand how different cars drive and handle to ensure safe operation. There are typically three different types of drives, front wheel, rear wheel, or all wheel. Front-wheel drive vehicles in low-traction conditions can cause you to plough ahead, even though you have the wheel fully turned. Rear-wheel-drive is popular for high-performance cars but can cause you to lose the tail end of the vehicle if driven dangerously. All-wheel drive and four-wheel drive are the safest for tricky conditions and will send power to the wheels with the most traction. It is amazing to learn the high number of Gen Y and Z’s that cannot operate a manual vehicle. Although many car manufacturers are increasing production of automatic cars there are still a large number of manual cars on our roads. whether it’s just to avoid being the annoying friend that can’t share the road trip or for emergency situations, it pays to know how to drive a manual car. Unless you have purchased a new vehicle and intend to have it serviced by the manufacturer at regular intervals, it pays to carry and fill out a maintenance log of all work that has been done on your car. This not only saves you being ripped off by mechanics but also improves the value of your vehicle come the resale time as the purchaser can see that you have been meticulous in the servicing and preservation of the car. This one is just to make life easier. As a must, you should always carry a copy of your insurance information, registration and drivers licence. And in the case of an emergency, a flashlight and first-aid kit are must-have items for your glove box. And for the overly prepared, hand sanitiser, gloves, tissues and bottle of water (not plastic). Have you ever been stuck behind a driver making numerous attempts at a parallel park? Annoying isn’t it. It’s not just that people are impatient, it’s that there is a mathematical process to parallel parking and it’s easy. Once mastered anyone can park quickly and easily. Check out this. Ok, so we don’t get a lot of snow in Australia, but we do get slippery, icy and greasy road conditions that if not driving suitably can lead to loss of traction or sliding. To counter the sliding and regain control of the car, 1. don’t panic or overcorrect 2. lift off the brake pedal (do not stomp on the break even with ABS) to allow the wheels to freely rotate, turn into the slide, and then press down to slow the rotating rubber mass. Repeat this process until you come to a stop. This will be generally only encountered if four-wheel-driving but an important one to know. Check out this 4×4 recovery at https://www.campertraileraustralia.com.au/features/technical/1503/4wd-recovery-how-to-unbog-your-vehicle. According to studies carried out at the Argonne National Laboratory when your engine is cold, the gasoline is less likely to evaporate and create the correct ratio of air and vaporised fuel for combustion. Engines with electronic fuel injection have sensors that compensate for the cold by pumping more gasoline into the mixture. The engine continues to run rich in this way until it heats up to about 40 degrees Fahrenheit. Again to ensure you get the most optimum level of performance and prolong the lifespan of your car it is essential that you know, check and replace all the key fluids in your engine. The five main ones are listed at Popular Mechanics. Not only is it illegal, driving with a headlight out makes negotiating traffic and roads more difficult for both the driver, other drivers and pedestrians. Generally speaking, car headlights are easy to replace, but let’s face it, manufacturers could make it a bit simpler. What is difficult is that most vehicles have different types of globes for the high and low beam as well as different ways of changing. If you’re a first timer check out – http://www.dmv.org/how-to-guides/headlight.php. First things first, to do this, always keep a pair of jumper cables in your boot –you never know when they will come in handy. Turn off both cars. Start with the dead battery. Put a red clamp on the positive (+) terminal of the dead battery. Attach the other red clamp to the positive terminal of the live battery, and the black clamp to the negative (–) terminal of the live battery. Then attach the final black clamp to an unpainted metal surface on the dead car’s engine block (prevents hazardous sparking). Turn on the live car, and then try to jump-start the dead car. Run the dead car for at least half an hour to charge the battery back up. Wa-lah your back in business. This one is a tough one as most engines car, in theory, operate on any grades of fuel, assuming you’re not putting diesel in a petrol car and vice versa. The NRMA website has an excellent overview of fuel types. It pays to understand what grade of petrol to put in your car to achieve the greatest performance and range. If you’re in the market for a new or used car, let us get you approved today, call us on 1800 232 615.